The narcissist can get better, but rarely does he get well ("heal"). The reason is the narcissist's enormous life-long, irreplaceable and indispensable emotional investment in his disorder. It serves two critical functions, which together maintain the precariously balanced house of cards called the narcissist's personality. His disorder endows the narcissist with a sense of uniqueness, of "being special" - and it provides him with a rational explanation of his behaviour (an "alibi"). 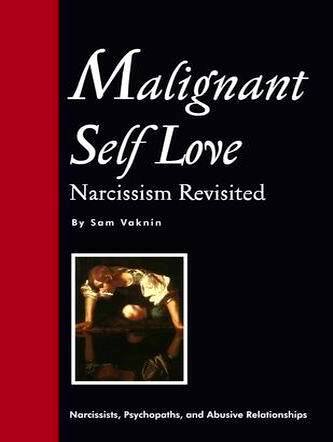 Most narcissists reject the notion or diagnosis that they are mentally disturbed. Absent powers of introspection and a total lack of self-awareness are part and parcel of the disorder. Pathological narcissism is founded on alloplastic defences - the firm conviction that the world or others are to blame for one's behaviour. The narcissist firmly believes that people around him should be held responsible for his reactions or have triggered them. He does. But he re-interprets this experience. He regards his dysfunctional behaviours - social, sexual, emotional, mental - as conclusive and irrefutable proof of his superiority, brilliance, distinction, prowess, might, or success. Rudeness to others is reinterpreted as efficiency. His False Self (the pivot of his pathological narcissism) is a self-reinforcing mechanism. The narcissist thinks that he is unique BECAUSE he has a False Self. His False Self IS the centre of his "specialness". Any therapeutic "attack" on the integrity and functioning of the False Self constitutes a threat to the narcissist's ability to regulate his wildly fluctuating sense of self-worth and an effort to "reduce" him to other people's mundane and mediocre existence. The few narcissists that are willing to admit that something is terribly wrong with them, displace their alloplastic defences. Instead of blaming the world, other people, or circumstances beyond their control - they now blame their "disease". Their disorder become a catch-all, universal explanation for everything that is wrong in their lives and every derided, indefensible and inexcusable behaviour. Their narcissism becomes a "licence to kill", a liberating force which sets them outside human rules and codes of conduct. The narcissist is emotionally attached to only one thing: his disorder. The narcissist loves his disorder, desires it passionately, cultivates it tenderly, is proud of its "achievements" (and in my case, makes a living off it). His emotions are misdirected. Where normal people love others and empathize with them, the narcissist loves his False Self and identifies with it to the exclusion of all else - his True Self included.